I enjoy every recipe that Chef Pasquale shares. Love his accent too. Take a moment and watch him make Manicotti. We’re sure you will enjoy. He reminds me of so many people that I grew up with. People that came from “The Other Side” as they used to say. 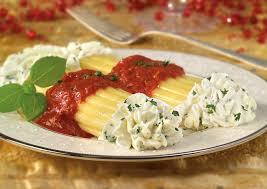 Manicotti is another of my favorite pasta’s. We used to have this on Thanksgiving before having the turkey. I remember my Mom and my aunts rolling the pasta dough and then filling it with freshly made absolutely delicious ricotta…. OMG! 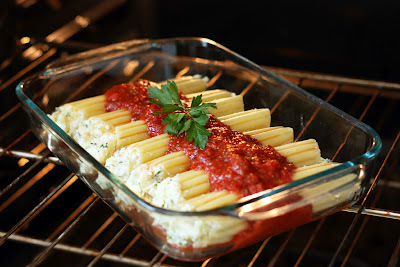 Really wonderful… you don’t see Manicotti too much anymore. I don’t know why they are delicious and very special. I think I may make some tonight. 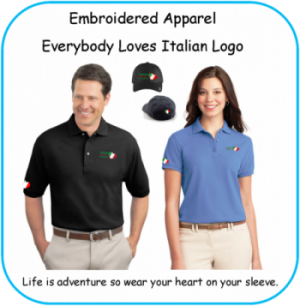 Manicotti (the plural form of the Italian word manicotto), meaning “muff”, or, literally, “little sleeve” or “little shirtsleeve”, is an Italian American kind of pasta. It also means “cooked hands” (mani = hands, cotti = cooked), referring to hands being burnt when making the crepes traditionally used to create this dish. They are very large pasta tubes, usually ridged, that are intended to be stuffed and baked. 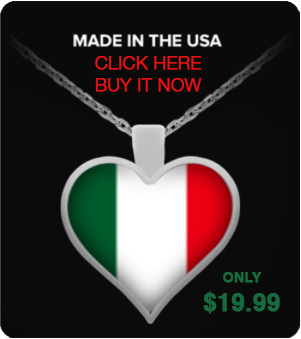 The filling is generally ricotta cheese mixed with cooked chopped spinach, and possibly ground meat such as veal. They are subsequently topped with béchamel sauce, usually made with Pecorino Romano cheese, Parmigiano-Reggiano cheese, tomato sauce or some combination of these. 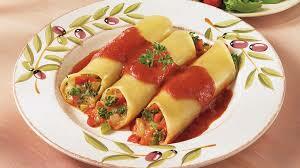 Similar to the Italian cannelloni, manicotti can be extruded in tube form, or rolled from sheets of dough. Covered in Sauce and Baked.